Neem soaps are made from oil that is extracted from the seeds and fruits of the neem tree. Neem oil is the soap’s main ingredient which is good for nourishing the skin. The oil also has antioxidant properties, antifungal, antibacterial, moisturizing and soothing to the skin. It works great on healthy skin but is most beneficial for skin conditions or skin problems. With all its amazing benefits, you still have to take extra care in choosing the neem soap that you’re going to buy to avoid getting harsh skin reactions. Here are some of the best-selling neem soap in the market that will help give you a first crack in choosing the best neem soap for you. 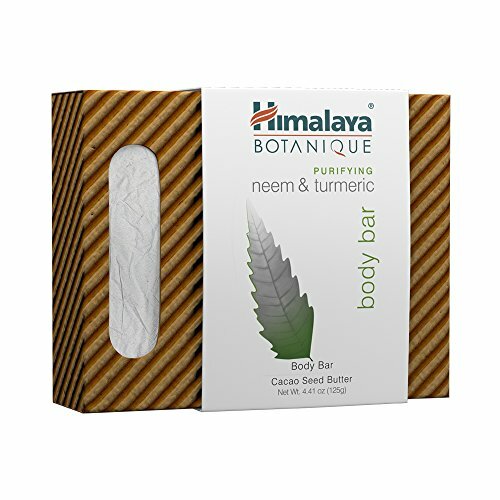 The Himalaya Botanique Purifying Neem & Turmeric Handcrafted Bar Soap is a healthy blend of organic ingredients such as olive oil, castor oil, cacao seed butter, turmeric, and neem. Neem and turmeric are known for their purifying and cleansing properties and this soap will help purify and reawaken your skin, keeping it healthy with everyday use. This neem soap is plant-based and no animal testing nor animal ingredients have been used in making this. It also has no parabens, phthalates, SLS or Sodium Lauryl Sulfate, no artificial fragrances or colors and is gluten-free, which makes this soap ideal for cleansing and washing your skin. This purifying bar also makes use of pure herbs with soothing oils that help keep the natural moisture of the skin while gently cleansing it. 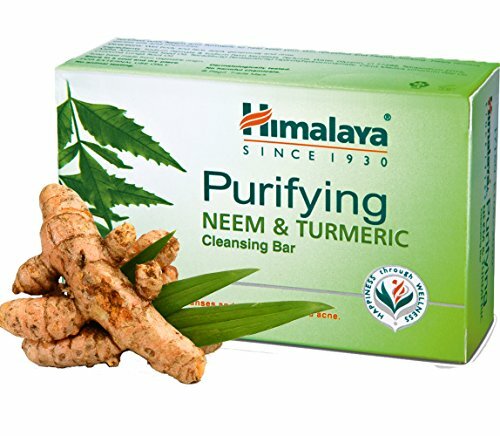 The Himalaya Purifying Neem & Turmeric Cleansing Bar is a powerful detoxifying and cleansing soap which has a soap-free base. This soap is also good for nourishing and toning your skin. You can use this anytime you want because it’s mild, gentle, and nurturing. The turmeric and the neem leaves in the soap can cleanse your skin no matter what type you have and it can also take care of mild acne. This cleansing bar will also leave you feeling hydrated and soft because of the delicate feel of the essential oils that have been saponified. It even smells great and has that comforting fresh scent! 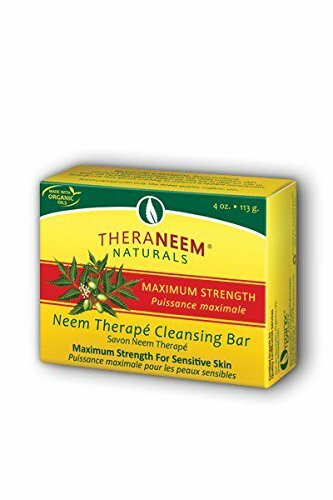 Neem Soap Bar. All Natural Face Wash & Acne Body Wash. 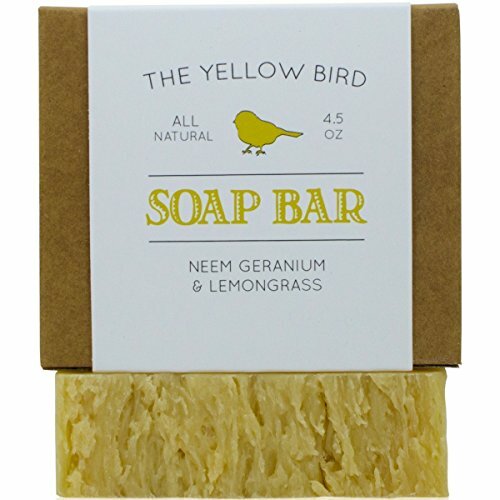 The Neem Soap Bar by The Yellow Bird is an all-natural face wash and acne body wash that is a hundred percent organic and natural. It has two powerful natural ingredients, the neem oil and neem extract that help in resisting eczema, acne, psoriasis, redness, rosacea, wrinkles, and scars. This soap bar is manufactured locally by using the cold process method to ensure that the effectiveness of the organic and all-natural ingredients and the great quality is preserved and maintained. Neem is combined with lemongrass, ginger grass, and geranium essential oils to balance the scent and makes the soap smell amazing! The Maximum Strength Neem Oil Soap by Organix is made for sensitive skin. It has 20 percent Neem oil that is certified organic which is the brand’s beneficial and most concentrated bar. This neem oil soap is hand-crafted and made with premium quality organic oils. Some of its certified organic ingredients are coconut oil, olive oil, shea butter, jojoba oil, and neem oil. This neem oil soap is loaded with antioxidants that help moisturize and nourish the skin even the most sensitive ones. The soap is also paraben free, gluten free, and sulfate free, making it gentle on the skin. Among the top sellers in the list, the Neem Soap Bar by The Yellow Bird has received the most positive reviews. A lot of people have raved about its great smell, cleansing properties, and how it leaves the skin feeling soft and moisturized. We all want to take extra care of our skin and want only the best quality products for our bodies. This is why it’s great that we check for the best quality products and soaps to include in our skin regimen to avoid harming our skin. This list of some of the top-selling neem soaps in the market can help get you started in choosing the best product for you. If you have comments, questions, and suggestions, please feel free to leave a comment here. If you enjoyed this article, be sure to check out our post on Top 10 Ayurvedic Soap Ingredients. We also talked about the best almond soaps, best sandalwood soaps, best oatmeals soaps, and best turmeric soaps.